With the Government now allowing large employers to transfer up to 10% of their Levy pot to non-levy organisations, Timpson’s have generously used some of their funds to support Chloe Mahney at Mahdlo Youth Zone. Mahdlo is a registered charity and state-of-the-art Youth Zone in the heart of Oldham for 8-19 year olds (up to 25 for young people with a disability), and were looking to develop Chloe’s accounting skills through an apprenticeship programme. 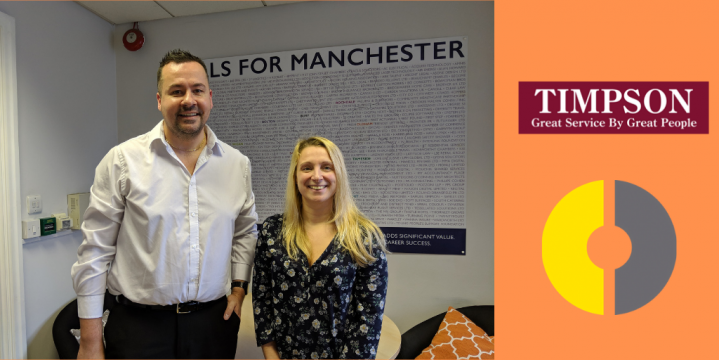 Normally non-levy paying employers such as Mahdlo are required to pay a 10% contribution to the apprenticeship costs, however with the donation from Timpson, Chloe can now pursue her Professional Accounting Level 4 Apprenticeship without cost to themselves. Below is Chloe with her level 4 coach, Andy. Chloe started attending her weekly level 4 classes at the start of February, which allow her to learn new skills such as interpreting Financial Statements, Budgets and Management Accounting Decisions and Controls. Below is a group photo of our first level 4 class at The Academy. Large organisations paying an apprenticeship Levy will be able to transfer up to 20% of their funds from April 2019, which will hopefully further increase the apprenticeship opportunities available. Please contact The Apprentice Academy for more information on how to do this. Good luck to Chloe with the rest of her level 4 apprenticeship! Click here for more information on the Apprenticeship Levy. Click here for more information on the level 4 Accountancy Apprenticeship.